Published July 31, 2016 at 1920 × 1080 in 17. Conquering the West. 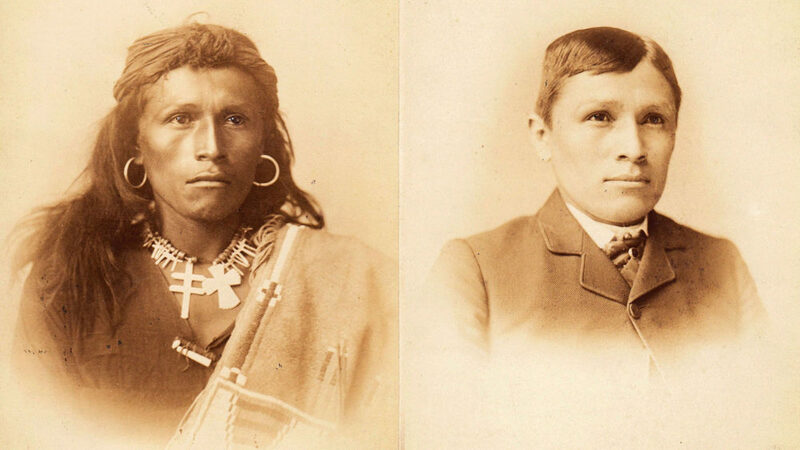 Tom Torlino, a member of the Navajo Nation, entered the Carlisle Indian School, a Native American boarding school founded by the United States government in 1879, on October 21, 1882 and departed on August 28, 1886. Torlino’s student file contained photographs from 1882 and 1885. Source: Carlisle Indian School Digital Resource Center.